University of Essex is introducing a whole new game of Rubgy which is low commitment and accommodating to players on all levels of experience. X Rugby 7s is a new format of rugby being launched by the Rugby Football Union this year. Rather than using the traditional laws of rugby, it is played on a half pitch with 7 players on each team. It is a contact sport, however, strictly below the armpit and because it’s on a smaller pitch, the contact element is much less ‘intense’. We are one of seven Universities to be involved with the launch of the sport; therefore, anyone who participates in this new sport will be part of a brand new and limited sport. 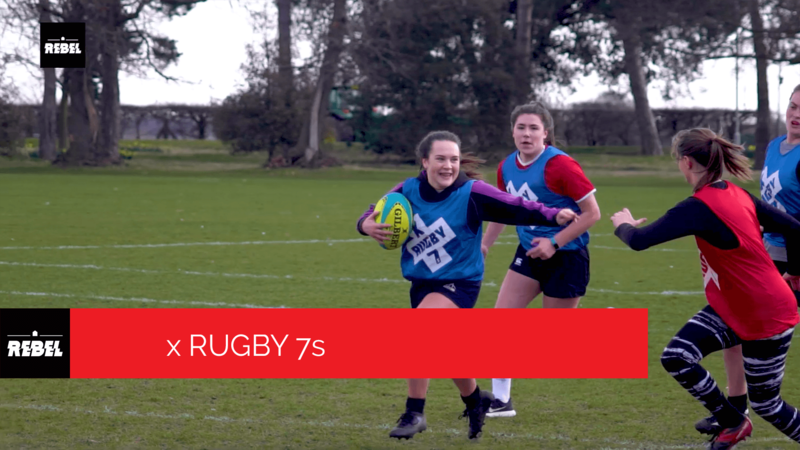 X Rugby 7s is for everyone, at the University we are targeting both men and women, young and old, in particular those who never played rugby before or those who used to play and want to get back into it. If you want to play rugby but don’t want to commit the strict structure of the British Universities College Sport (BUCS), then this is perfect for you! X Rugby 7s is a low commitment, high enjoyment sport. For just one hour a week, you can come along and play in a social, casual environment without the worry of having to commit to weekly training or travel for away matches. X Rugby 7s will be weekly out on the grass playing fields at 2pm on Wednesday afternoons. You will need to wear appropriate sportswear with rugby or football boots/cleats, trainers would be fine too but you may slip! A gumshield/mouthguard isn’t compulsory but recommended; these are available for £2 from most sports shops. The sessions will be run by students who are fully qualified and excited to promote the new form of the sport. They have deep extensive knowledge of the sport that they are willing to share with new players, so you will be in good hands. Throughout the year you can win stash rewards through our Rugby Reward Programme. What is the Rugby Reward Programme? When you attend a rugby orientated event, you can receive a stamp, which when you collect enough stamps can be exchanged for stash! Events such as O2 touch, Merit Festivals, Intramural and of course x Rugby 7s. Every time you attend, you’ll receive a stamp, much like a coffee reward card!